If you’ve ever tried to use Google Maps for walking directions, you’ve probably encountered a common problem. You can see the line indicating your route, but which direction should you start walking? You may walk in the wrong direction for a while before realizing your mistake. Google Maps is getting an AR mode that should make walking directions easier. Over the years, Google has tried to make it easier to know where you are and even which direction you’re facing. This new method is being called “global localization” and it combines Visual Positioning Services with Street View and machine learning. You simply point your phone’s cameras at your surroundings and machine learning identifies the landmarks based on Street View imagery to pinpoint your location. It can then accurately display information, such as directions, over the real world. 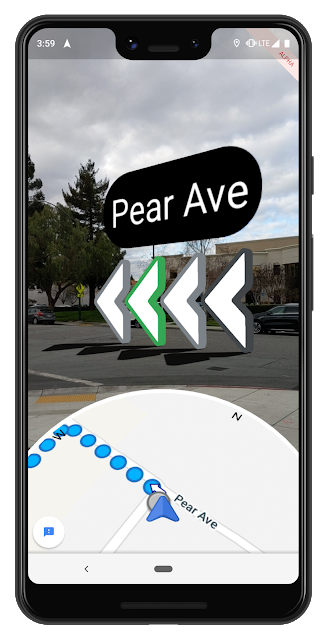 With AR mode there is no mistaking which direction you should walk. Big, bold arrows and text appear to float in your view. The bottom of the screen shows a live view of the map. Google is testing this with local guides right now and they hope to get feedback to improve it in the future. We have no idea when this will be ready for consumers, but we can’t wait.